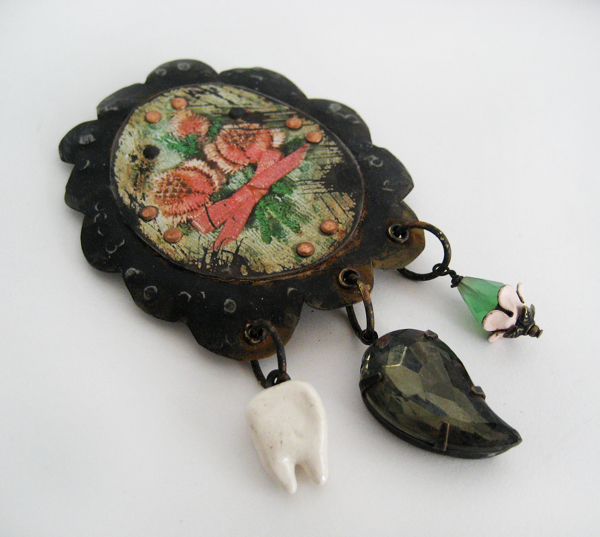 Rustic gypsy brooch made from hand-cut and sanded reclaimed tin, with delightful dangles: a ceramic tooth and vintage charms/beads and patina’d to a primitive state. 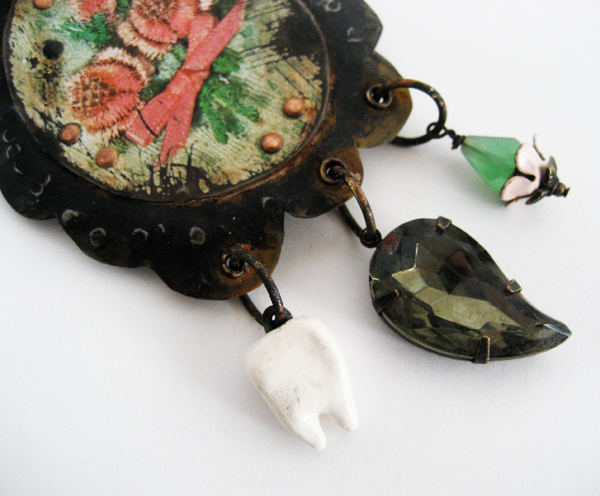 A sweet but ominous assemblage full of wistful memory. 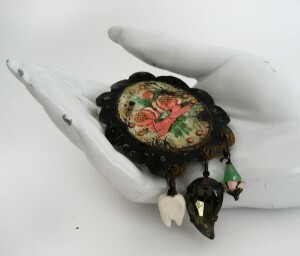 This brooch is fairly lightweight, but would still be best on a jacket or sweater rather than thinner fabrics. Not appropriate for children. One of a kind and ready to ship. Note: The mannequin hand is life-sized, average woman, for reference.